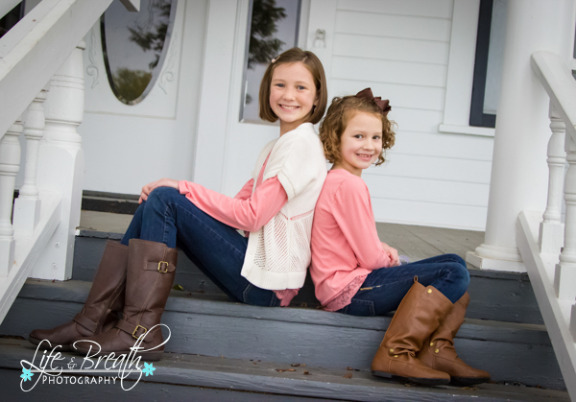 I am so excited to announce that Life and Breath Photography is getting a little bigger! 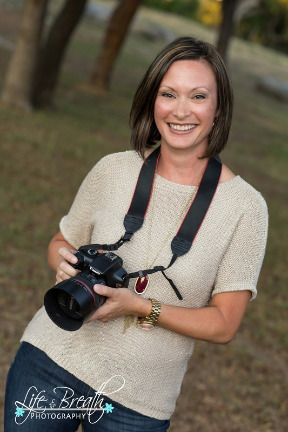 Lorry Tuttle has joined our studio and brings years of experience in real estate and family photography. I have known her for a long time and we share a mutual passion for photography, family and giving back to our community. And to celebrate our new partnership, we are offering all new customers 20% off if you book with Lorry before the end of December. She has a few weekend spots left and more weekday openings, so contact us to book your session. See examples of her real estate work here. When she isn’t in the carpool line at school or running kids to dance, soccer or violin...Lorry can be found doing her favorite thing, taking pictures! It could be of her dogs, her neighbor’s beautiful flowers or her kids! It doesn’t really matter the subject, she just loves to capture those precious memories. She has a true appreciation for life and knows first hand that it can change quickly, so capturing those memories is so very important to her. Lorry is a mom of two beautiful, smart and very active girls. She is the proud wife of Patrick, her high school sweetheart. Actually, Lorry used to write her first name with Patrick’s last name on her crayon box in the 4th grade! So their marriage was being planned a long time ago...Patrick just didn’t know it at the time. Most of Lorry’s life work has been as a dance teacher and Volunteer. She taught tap, jazz, ballet, hip hop and lyrical for almost 20 years. She loves seeing a child’s eyes light up when they learn something new. Lorry ran her own dance business for several years where she taught tap and ballet in local preschools. She loves working with and being around kiddos! Lorry also has a true passion for Volunteering. She has been in charge of her daughter’s elementary school yearbook for the last 5 years. She does it all! Everything from taking the pictures, designing the layout, editing, etc. This volunteer position earned her the “Volunteer Of The Year” award at the school in 2013. Besides kiddos, Lorry also loves working our most precious generation, our Seniors. Lorry’s mother, Jeanoyce Wilson, worked for the State of Texas most of her life. She inspected nursing homes, wrote rules for Assisted Livings, etc. Lorry grew up visiting nursing homes and visiting with our older generation. She has been a Volunteer for Meals On Wheels and More for the past 4 years. Delivering meals to our older friends once a week is a true gift. The gift is received by Lorry when she gets to hear a special story about their past or is shown pictures of their grandchildren or even gets sung to on a weekly basis by one of her clients! When Lorry was 20 years old, she was given the responsibility of managing 13 rental properties. She did everything from collect payments to make repair calls. This experience is the reason she began working with realtors to capture the essence of a home. Through her photographs, she has been able to turn a “Retro” house with brown shag carpet and brown wood paneling into something very interesting! That particular Retro house sold in just a couple of days for more than asking price after her photos were posted on MLS. She knows how to focus on the positive, interesting aspects of a home even if it needs a little work.